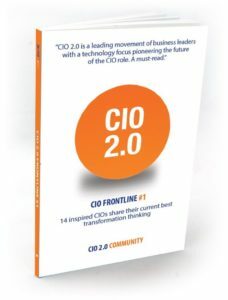 I am delighted to share that along with some very talented CIO peers I’ve co-authored a book – CIO 20 : CIO Stories From the Frontline #1. It’s at a special low launch price on Amazon and all proceeds go to charity. UPDATE: We are now a #1 Bestseller in Information Technology globally, #2 in Management & Leadership & #8 in Leadership – an amazing achievement! CIO 2.0 is a leading movement of business leaders with a technology focus pioneering the future of the CIO role – https://www.cio20.uk/. In this book 16 high achieving CIOs share their highest-value thinking on career transitioning, business transformation and technology leadership and closing the capability gap. 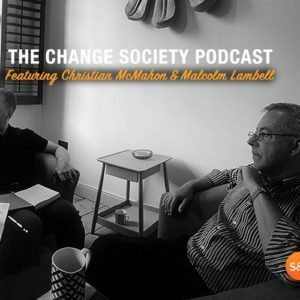 CIO 2.0 is an initiative of Pat Lynes and Christian McMahon of Sullivan & Stanley – The Change Society. You can read the article here on ZDNet. I’ve written in the past about how to foster and grow innovation within your organisation, however, the number one response I hear from firms I work with is how they would love to innovate, but due to the complexity of their business they don’t know where to start, what to prioritise or how to make the time to get started. 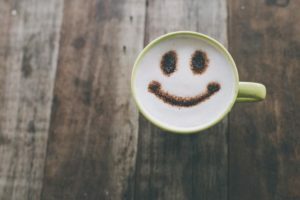 My response is always to not think negatively and look to stifle innovation before you’ve even begun, but to start by talking to key stakeholders, customer-facing staff and your actual clients to find out what their business critical issues are, and work together to find out where and how you can help. Often through this exercise, you find that just by reallocating resources or efforts from one thing which isn’t working to another that will yield tangible results is a great first step. This not only energises your staff, but more importantly re-engages your clients when using your products and solutions. Some may say that this is not innovation in its truest form, but the companies that are smart enough to be proactive and re-engage their clients through these straightforward exercises will be the ones that win their future contracts and support. Those that don’t and then wonder why their forecasts need to be constantly updated and their revenues sharply decline will quickly follow suit, but with a delayed response that may prove difficult to catch up. Make the time now and don’t fall further behind your competitors, who are actively allocating time and resources to this, as well as working hard on reducing their internal complexity and inertia. Those that do stifle innovation and put it off are those most susceptible to the disruptors that are now operating within most formalised industries. These disruptors are not only looking to have a share of your industry, they are looking to consume your key revenue streams and will quickly devour those with a lazy or old-fashioned approach to innovation and change. Your clients are more technically savvy and service oriented than they have ever been, and will quickly migrate to these new industry charges even if they do have a few rough edges. A good reputation is key to any organisation, but living off the past and not moving forward is the biggest sin of all. When you reverse engineer a strategy and work from the customer inward, the most startling revelation is often how more straightforward and agile you need to make your organisation versus the complex and multi-layered behemoth you have in place, which has grown exponentially over a long period of time. This is a key reason why larger companies with these huge, complex back-ends with structured process and formalised procedures find it harder to innovate. Many are now forming innovation units within their organisations to work and partner with start-up incubators and accelerators, to engage with innovative and game-changing start-ups (a lot of the work I do). This includes larger corporates acquiring these nimbler and more agile start-ups, looking to integrate them and their services in to their front line services to their feature-hungry clients. The main problem here is that the more creative staff that they bring across quickly tire of the formalities and procedure laden nature of their new host and look to exit quicker than planned. This rigidity and reluctance to ‘free up’ these more creative individuals from your normal working practices not only contradicts the very reason you acquired them in the first place but continues to stifle innovation, as well as making it a very expensive and time-consuming process to boot. Don’t let the complexity of your organisation and your faith in the past stop you from innovating and charging ahead. Organisations can be obsessed with producing the next big industry innovation, and then become profoundly disappointed when it does not occur at the pace or scale they want. Naturally, everyone wants to speed up their innovation cycle beyond one or maybe two genius ideas every one to two years, but this cannot be expected and is exceptionally hard to maintain. In recent years, we have all seen Apple release game-changing products that disrupt entire markets, but what we don’t know is the lead time from initial idea to market release. The company concentrates and focuses on innovation at a level never before seen in the commercial world: for example, it has over 800 people solely dedicated to working on the iPhone’s camera. It is open about the power of its open and innovative culture, which supports its ability to deliver these amazing products, and more importantly, it’s always quick to register that without the support and efforts of the whole organisation they would not be achievable. To maintain a level of innovation or to bring your organisation up to speed, you will need to alter or adapt the culture and mindset of your organisation to one that not only fosters but also rewards it. This focus is important, as being able to produce the next big industry disruptor will happen more readily within a culture that fosters everyday innovation. By creating this type of culture within your organisation, you will be producing a foundation for the delivery of game-changing and more disruptive innovation through the small everyday advances and innovative solutions to everyday problems that create an inventive business culture. Through working with an everyday innovation mindset your employees are more likely to spot small issues before they spiral in to larger concerns, or industry trends you may be adhering to for too long, which your competitors are moving away from with tangible results. 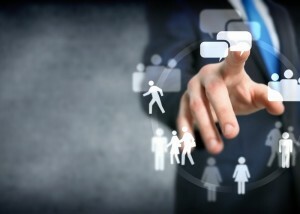 With this mindset, your staff are more likely to broaden their personal horizons and working practices to a more inquisitive one that includes studying the commercial advances or stagnation of competing offerings and to engage more with your clients, so as to provide them with the highest levels of relevant product and customer experience. The culture of innovation has to start within the leadership of your organisation and then instilled in every employee with a sense of common purpose and practice. Crucially time, reward and resources must be given to individuals to allow them to develop and nurture their ideas, with a view to possible implementation, or at least further discussion. There is no point in permitting a culture in which individuals or teams can recognise and discuss possible issues, and then not allow them the time to foster, nurture and implement them. In fact, it could be the most counterproductive tactic you could take, and the fastest route to upsetting and demotivating your staff. Empowering your workforce with this culture will not only lead to commercial success but enable you to create a challenging and enjoyable place of work, which will allow you to retain your best staff and be a draw to others. This may mean making your culture less risk averse, but if you always play safe, then your results will remain stagnant and innovation stifled. Fostering a culture of everyday innovation where incremental advances are made steadily and at a manageable and digestible pace will deliver a commercially successful and healthy organisation, which others will want to emulate. In modern times we have become very much a consumer culture driven by an abundance of choice spurred on by deregulation, capabilities of new technology, market disruption and innovation. The As-a-service economy has been fuelled by all of these key factors and allowed multiple organisations to enter these markets, providing both the technology platforms and innovative products for consumers to feast upon it. The only way for vendors to rise above the melee of available products and services is too constantly innovate and supply services or products which are not available elsewhere with Apple being the undisputed current master here for all to mimic. Other cloud vendors such as Salesforce are also strong in the As-a-service space for similar reason, by constantly seeking to renew and energise their platform with new innovation, features and tools. You would not be able to build such innovation, tools and features into in-house platforms and systems at this pace, which lends more strength to the As-a-service argument of whether or not to include at least subtle flavours of it in your enterprise offerings. The cloud platform may scare many with its ‘perceived’ insecurities and lack of control of data and feature but it enables organisations to set themselves up securely and grow rapidly with little initial capital outlay compared to the complexity of how things used to be. Cloud services provide easy access, mobility, standardised practices and instant access to well qualified product(s) and subsequent features with often straight forward upgrade paths and clear product roadmaps. It has also enabled a whole raft of brilliant applications, services and products for organisations of all sizes to augment their system and service portfolio’s with without huge capital outlay and can no longer be ignored. The rise of consumerisation has driven much of the innovation we see today and this drives a constant lust for innovation and the rapidity of it when utilised in the commercial space. We all want the flexibility, tools and services we are used to using at home to be available in the workplace and organisations that don’t respond to this will quickly lose staff to those that do. The other main driver of the As-a-service economy is customer service. In this more interactive and collaborative mobile focused world, the need for high quality customer service does not diminish but needs to evolve with customers now deserving more dynamic and engaging interaction beyond the traditional call centre or ‘look here’ approach. If you are not presently positioned as a socially aware organisation that offers high quality, consistent and quick response customer service, your customers may force your hand and go elsewhere or insist you rapidly change your approach. With the advent of the power and pace of social media your poor service can quickly reach epidemic levels if not quickly resolved. Innovation plays a key part in the way the As-a-service economy evolves with many technologies and platforms to fuel this not yet developed or ready to market with the whole Internet of Things model set to explode it out even further. As a result, the As-a-service economy is here to stay and will only grow stronger and more prevalent in augmenting the enterprise system and product portfolios that organisations deliver and the services which all of us consume in our daily lives. 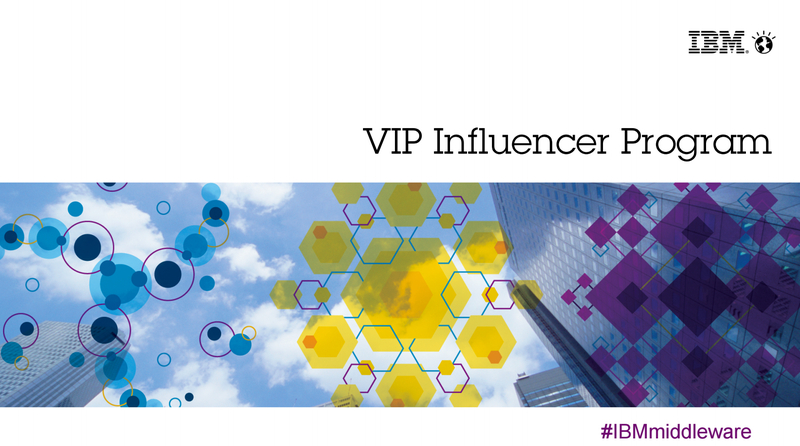 I was delighted to be asked by IBM to join their VIP Influencer Programme and you can read my first blog contribution on the process of transformation on their Middleware site here. Transformation – What level of surgery do you need? 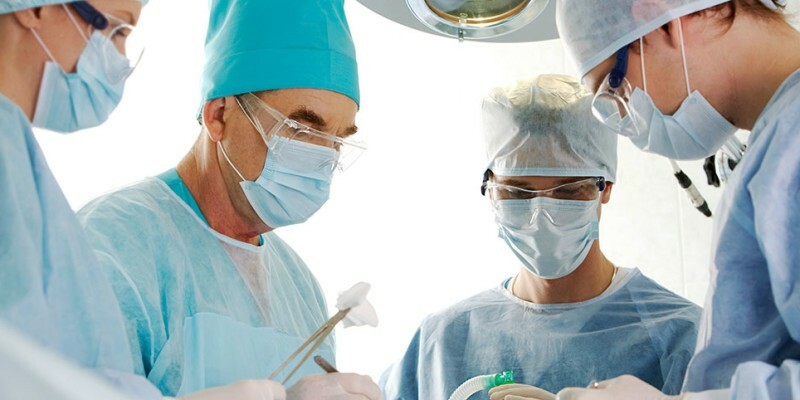 In a surgical analogy, a transformation programme is relative to ‘open heart surgery’ as it is one of the most important and powerful opportunities you can undertake to change the purpose and strategic direction of your organisation. Transformation programmes are a blend of business, people and technology change including root and branch process review. They are mainly focused around improving customer engagement, commercial return and re-energising the customer experience. In the planning of any transformation programme, its imperative you fully understand the objectives you are looking to achieve and that your board or leadership team are fully aligned with and agree on the prioritisation of its primary objectives. Everyone must agree that the results you’re looking for are not only achievable and affordable but necessary for you to progress as an organisation. 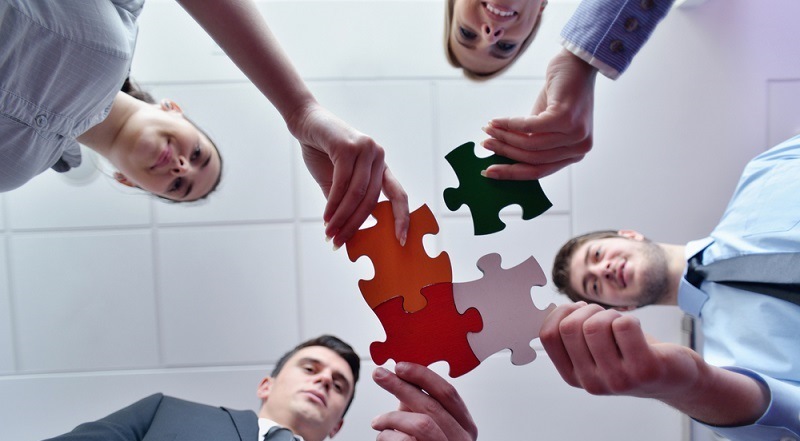 For any transformation to be successful you will need the full support and buy-in of your whole organisation. Not just key stakeholders but all affected parties including key clients and partners, so you will need to have a full and open communications strategy at all times. You will need to work out through internal and external consultation the level of necessary change and thus ascertain the degree of transformational surgery you need to perform including the level of process change you can readily consume alongside any necessary new systems, platforms or infrastructure to support it. It is imperative you keep this communications line open and a continuous dialogue with your key clients to understand what they want from your organisation, what products and subsequent features they use or need and how they wish to consume them (don’t forget to focus on mobile consumption as this will affect your design and performance criteria). You should also take this opportunity to learn of competing solutions and how your products rank against them, which will often give you valuable feedback. Strong leadership is required during any transformation programme so that it stays true to its principles and delivers its agreed objectives whilst staying open to internal and external client feedback throughout. The leadership team will need to control the direction and pace of the transformation so that business as usual operations are not interrupted or allowed to veer off track (an obvious but often overlooked dilemma). It is imperative the leadership team understands both the technology and business goals and how decisions in either can have a knock on effect in the other. Managing this critical symbiotic relationship will not only ensure adherence to the project plan but also limit costs and surprises along the way. Most transformation programmes will require fine tuning and subtle alterations through their lifetime as not all necessary objectives will be deliverable without some form of tweaking. Some objectives may not act as desired once in development or testing and require reworking, postponing until later in the programme or removal. This is where strong leadership and a firm hand on the tiller is imperative. A full training, implementation and internal/external support plan is a major but often overlooked component of any transformation programme. Skip this stage at your peril as it will cause your transformation programme to fall spectacularly and very publicly at the last hurdle. Transformation programmes of any size are major surgery on your organisation and subsequently need constant follow up and handholding of both internal staff, partners and external clients to make sure all of your implemented objectives are delivering as planned. This will allow you to make any necessary amendments and fine tuning whilst showing proactivity and desire to deliver the best possible results you can. Transformation is an important process in reengineering an organisation and ensuring it stays relevant in how it operates, making sure its products and services are commercially relevant as well as improving the strength of the customer experience it delivers. It should not be taken lightly but when done well it can give you an enormous competitive advantage, re-energised staff, revenue generating products and an engaged client base. 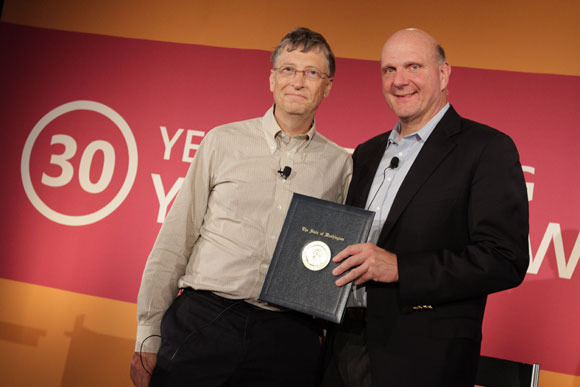 Read my contribution to an article on the CIO’s point of view in Microsoft’s quest for a new CEO. You can read the article here on ComputerWorld, here on CIO.co.uk and here on PC World.